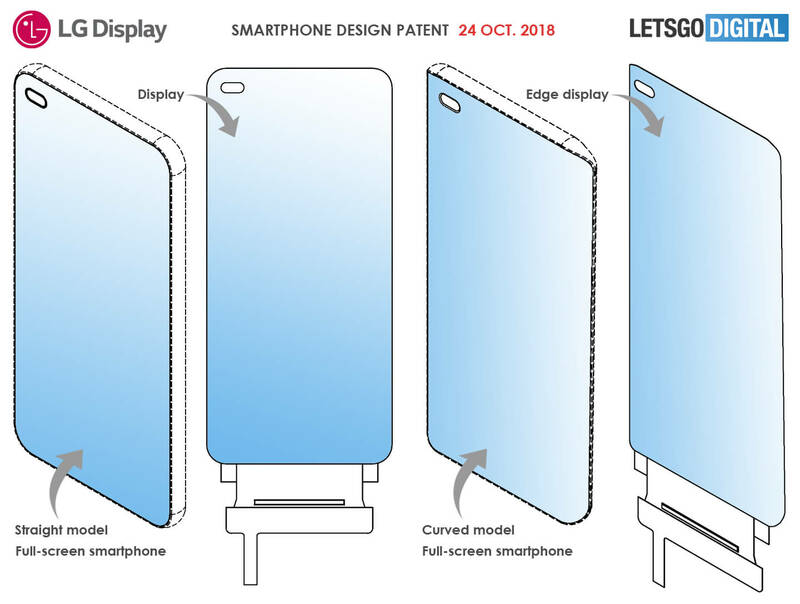 LG has filed patents with the Korean Intellectual Property Office (KIPO) for a few smartphone designs sporting borderless screens and in-display front cameras. The patents seem to show that LG could be using a flexible display with either a slanted screen or a straight screen with rounded corners sporting an oval hole at the top for housing the selfie camera (or two) thus yielding a virtually 100% borderless screen with no notch. 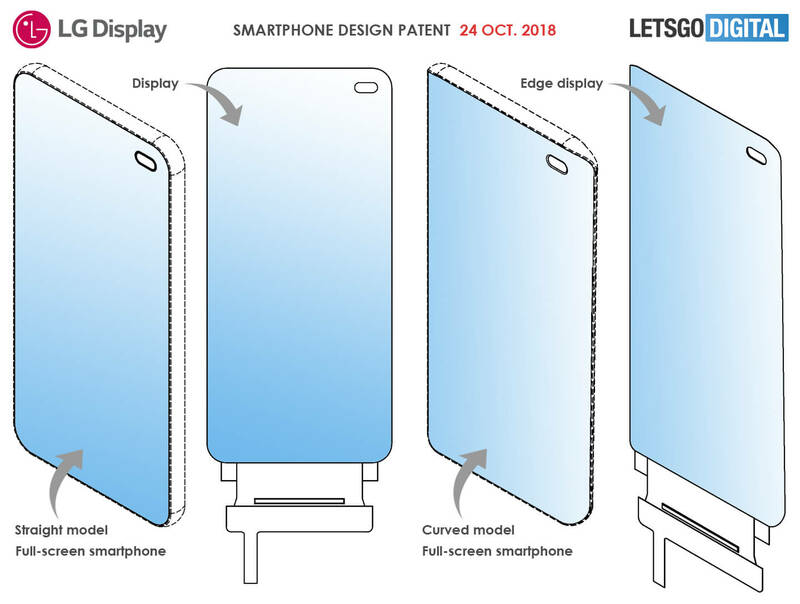 We're still yet to see in-display fingerprint sensors fully proliferate but LG seems to think ahead and is looking to devise an in-display front camera setup to remove the need for a notch and enable virtually 100% bezel-less displays. The South Korean giant has recently filed three patents in South Korea at the Korean Intellectual Property Office (KIPO) — two on October 24 and one on November 2. The patents filed on October 24 show off two designs. In one of them, an oval hole is seen at the top right side of the display. The design seems to use a flexible display as the right side of the screen is slanted. There is a similar design on a straight screen as well but with rounded corners. In the other design filed on the same date, we see the oval hole towards the left. In the patent application dated November 2, the oval hole is represented at the center of the display on similar curved screens as the previous designs. The oval shaped hole could imply that LG is looking to use a dual front camera setup and the slanting screen could provide the required depth to house camera components. The indication of flexible displays indicates that these would be OLED panels. Ultimately, the aim of all three designs is to provide a near 100% viewing area with virtually no bezels. LG's mobile business is yet to see the best of days but that hasn't discouraged the company from working on new smartphone innovations. There are existing all-screen designs such as the Oppo Find X that use a slide-out mechanism but the mechanical nature of the slider still raises eyebrows. It is not known when these LG patents will be realized in an actual product but given the advancements being made in foldable display technology, that day should not be far away. What do you think of LG's new strategy to minimize bezels even further? Let us know in the comments below.